Metal fabrication equipments are used for metal fabrication activities like cutting, bending, welding and coating etc.. 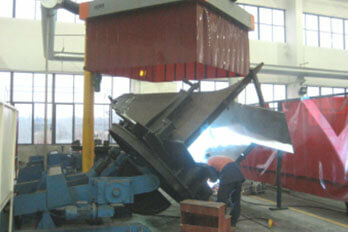 These equipments must be of high quality and should be handled by qualified fabricator. These equipments are designed by experts to handle high-end metal fabrication activities. Our metal fabrication facilities allow us to work on a vast range of work pieces. 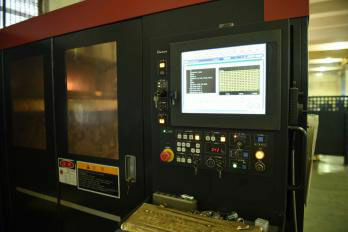 We are capable of fabricating small to large assembly work including high integrity machined components. CNC punching machine is for 0.5mm-3mm thick plates, the max. cutting length is 6000mm, max. width is 1250mm. 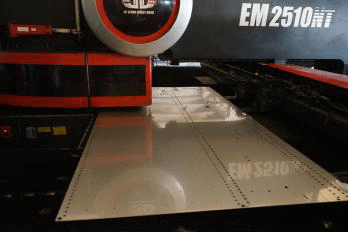 Laser cutting machine is for 3mm-20mm thick plates, the max. cutting length is 3000mm, max. width is 1500mm. Flame cutting machine is for 10mm-100mm thick plates, the max. cutting length is 9000mm, max. width is 4000mm. 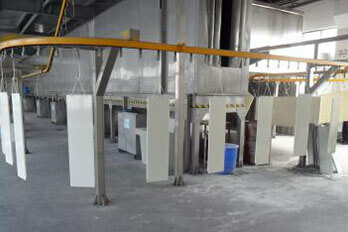 We have 4 sets bending machine, 3 sets for sheet metal, 1 set for heavy steel. 0.5mm-15mm plates, max. 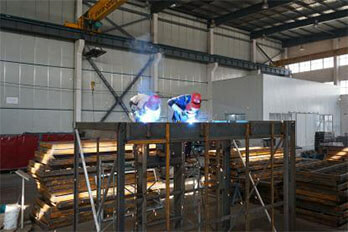 length bending length is 6000mm, max tonnage is 20 tons. We have 4 welding platforms, 1 welding beam, 2 sets of welding rotators, 6 EN certified welder to ensure our qualified welding techniques. 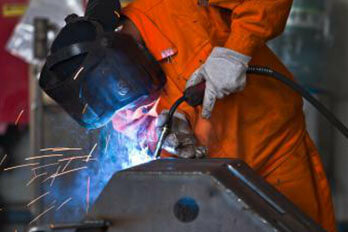 Heavy duty fabrication requires using the correct type of welding to ensure structural integrity. 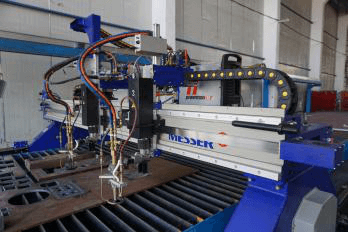 MIG, TIG, Oxy-Acetylene, light- gauge arc welding, and many other welding formats are available to compliment the specific types of metals and thicknesses that you will require to produce the equipment you need. We have our own painting line that meets the environmental requirements of the government, to provide one-stop metal fabrication for customer’s different requirements. 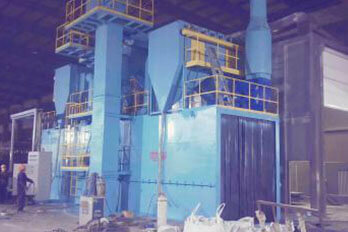 Shot blasting prepares metal parts for further processing like painting or powder coating. This step is necessary to ensure the coat adheres properly to the part. Shot blasting can clean off contaminants like dirt or oil, remove metal oxides like rust or mill scale, or deburr the surface to make it smooth. Powder coating, painting, sandblasting and beadblasting is self-owned, and galvanization is performed off site using local businesses. An inspection by one of the several AWS certified welding inspectors is the final step in the fabrication of every piece of steel. This evaluation covers welds, material imperfections, coating film and several other aspects. 100% of welds are visually inspected. Ultrasonic Inspection and Magnetic Particle Inspection are performed when required by Project Specifications or building code. In addition to final approval of material, the QC department regulates and assists with the fabrication to ensure that all codes and procedures are followed. We has implemented a bar coding system that is used for tracking production of material through the shop as well as generating shipping tickets. This process improves accuracy and increases efficiency. These highly visible tags quickly and easily communicate accurate information to workers in both the shop and the field. 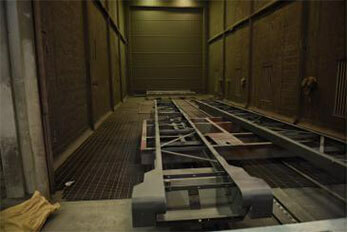 We are ready for further advancements in this area to meet customer’ requirements. Using forklifts and cranes, finished material is safely loaded onto trucks to be sent to shipping port. We have stuff specilized in shipping arrangement to match different trading terms of EXW, CIF, DDU etc..